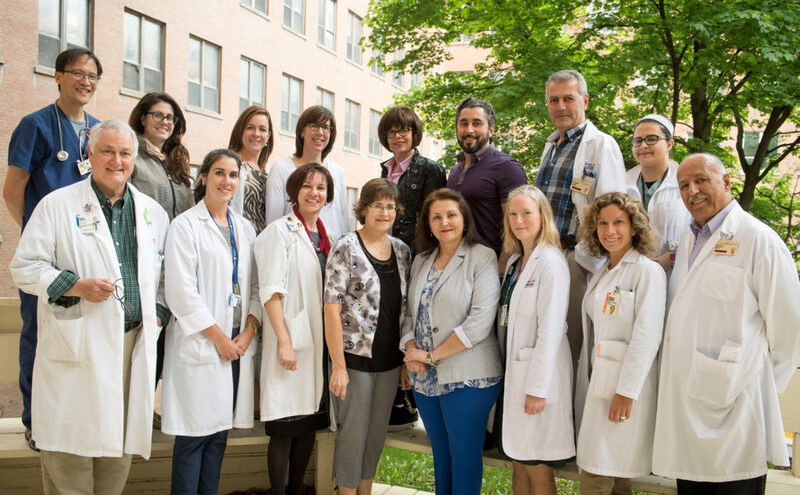 Specializing in acute neurotrauma and early rehabilitation, the MGH multidisciplinary Traumatic Brain Injury (TBI) Program treats over 1300 inpatients and outpatients each year from Montreal, Montérégie and northern Quebec. It closely follows them from their admission to their discharge and has a rigorous protocol to ensure the most appropriate aftercare. It also ensures the continuity of care with the help of its health network and community partners. Most of its patients are polytraumatic (suffer from multiple injuries), so there is a holistic approach to treatment that looks beyond the brain trauma. Additionally, the team treats the highest number of “complex cases” in Quebec; almost 50% of their patients have associated pre-traumatic conditions such as psychiatric disorders, homelessness and substance abuse. “Contributors to the Montreal General Hospital Foundation can be assured that every foundation dollar invested in theTBI Program is money well spent. Such gifting results in significant advancements in the care of patients, innovations in treatment and the acquisition of knowledge related to the field of TBI in level one trauma care.” ‒ Mitra Feyz, Administrative Director of the Traumatic Brain Injury Program.